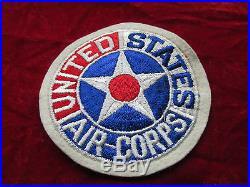 US Army Air Corps patch with original store tag. 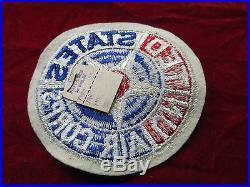 Listed here is an original WW2 patch with a dated store tag January 1945 ; see posted photos. This Squadron size patch measures 4 inches across ; it is fully embroidered on wool , and does not glow under a black light. 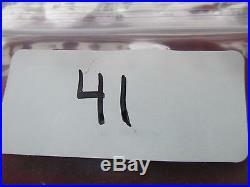 Thru a recent deal I bought all the remaining stock from the family / heirs of the owner Harry S Wosk. The supplies are limited but there are a lot of patches which I will list as time permits. When these are gone there wont be more so don't wait too long as others might scoop up these bits of history. Put me on your favorites and Check out my other items. The item "US Army Air Corps Patch Fully Embroired attached tab withstore tag PX Style AAF" is in sale since Sunday, October 16, 2016.